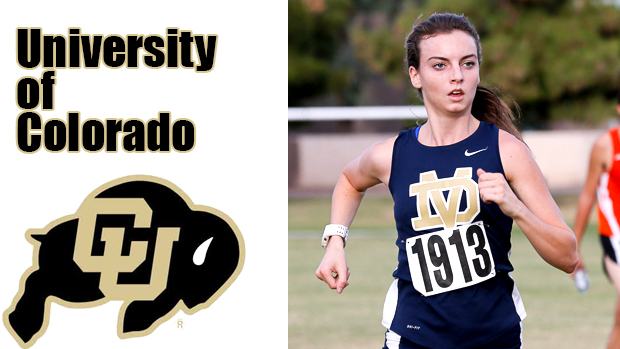 Dani Jones (Sr., Desert Vista) has verbally committed to the Univrsity of Colorado Boulder and will be running with the Buffalo's this fall! "I chose CU for a variety of reasons," said Jones after making her decision. "The kinesiology program is exactly what I'm looking for and the location is so stunning. Most of all, I know the coaching staff and the team is going to help me become the best athlete I can be. I'm so excited to contribute to such a great program!" Jones also took four official visits to Michigan State, Duke and Georgetown. "The recruiting process can be a stressful one. It became challenging at times to manage school, running and recruiting all at once. Luckily, I learned to make the most out of the experience because it was, after all, a once in a lifetime opportunity. I was lucky enough to travel to a lot of amazing campuses and meet a lot of great people. I'm blessed to have had the experience." 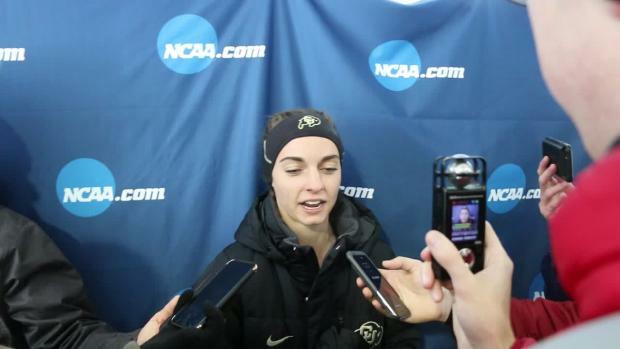 Dani Jones first jumped onto the national scene after her 4th place finish at the Nike Cross Southwest Regionals in 2013. 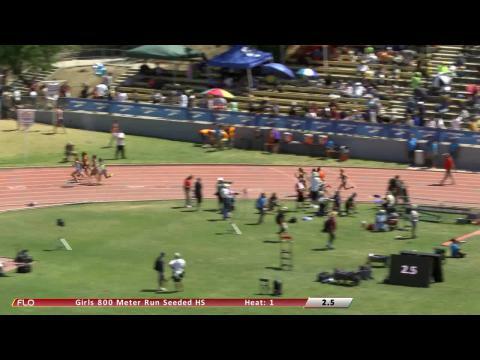 Two weeks later she finished 15th at Nike Nationals earning All American Status. Last spring Jones opened her season at the Arcadia Invitational in California finishing 2nd in the Invitational Mile with a time of 4:50.49. The night before she anchored the 4x 1600 helping her team to a 3rd place finish and the 3rd fastest time in the country - 20:18.84. 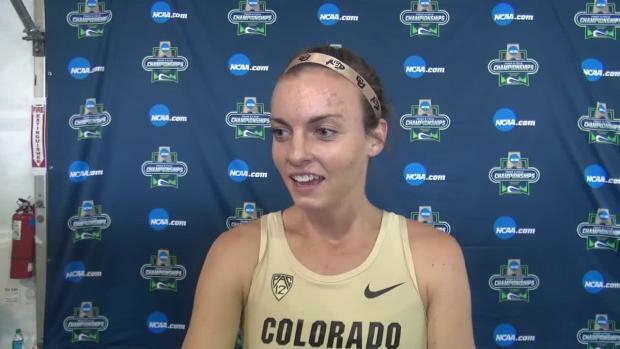 In May Jones ran a 4:48.73 in the 1600 to break the Arizona State Record in the 1600… a record previously set by Sara Gorton-Slatery in 1999. 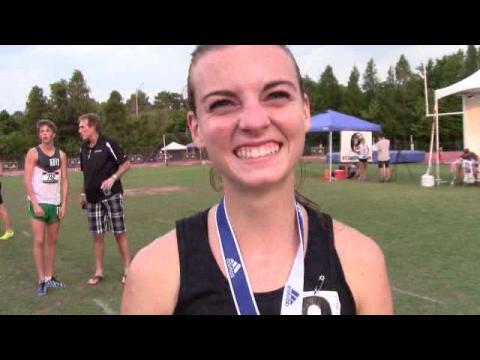 Two weeks later she traveled to Florida and won the mile in 4:50.49 at the 38th Golden South Classic earning her a golden ticket to the Adidas Grand Pre Dream Mile where she finished 3rd in a sprint to the finish. 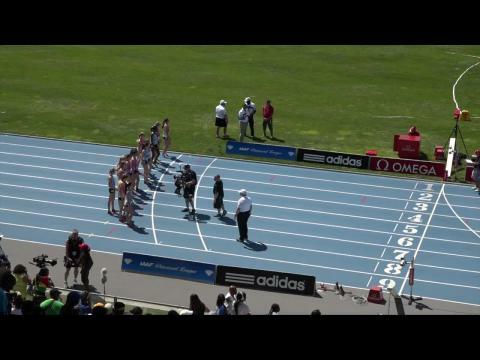 Her time of 4:43.40 (converts to a 4:41.76 1600m) earned her a US#6 ranking. This season Jones traveled to California to compete in the Woodbridge Classic and finished 2nd with a time of 16:16 on the three mile course. A week later it was up to Oregon for Nike Pre -Nationals and then back to Arizona for the Desert Twilight Invitational where she finished 2nd by a second with a time of 16:42 for 5K putting her at US#5. Look for Jones at the Arizona State Meet tomorrow and Nike Regionals on the 22nd of this month. Hold the junior class record in the 1600 4:48.73 (which is also the State Record). A BIG Congratulations to Dani Jones! !